Rhinoplasty surgery is better known as nose plastic surgery, nose cosmetic surgery, nose reshaping or nose job surgery. Rhinoplasty is a surgical procedure that involves reshaping the nose. It can be either a cosmetic procedure performed by a surgeon to improve the appearance of the nose, a medically necessary procedure to improve nasal breathing, or a combination of both. The goal for the surgeon is to create an aesthetically pleasing nose that functions well for breathing and is balanced with the rest of the face. 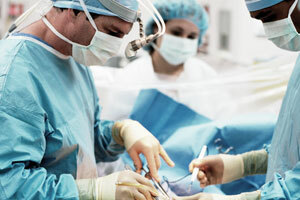 Several consultations are often needed to ensure the surgeon and patient have the same expectations. There are many reasons why patients require rhinoplasty surgery. Accordingly there are many different challenges to the surgeon, based on the wants, needs and physical condition of the patient. 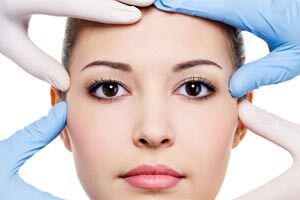 The combined expertise of both an ENT and Plastic Surgeon provide complementary skills. As well as treating breathing problems, rhinoplasty can be combined with other cosmetic procedures. These include Botox, Eye Lid Surgery, Lip Augmentation, Ear Correction Surgery, Face-Lifts, and even other simple Injectable Rejuvenating Fillers or Anti-Aging Treatments. The best candidates for nose reshaping have realistic expectations about what surgery can achieve. To ensure best results patients need to ensure that they are physically, emotionally, and financially prepared to undergo this major cosmetic procedure. It is imperative to do research when it comes to nose surgery, and to find the best nose job surgeon in relation to your requirements. Rhinoplasty surgery involves reshaping the nose to achieve the desired result. Closed rhinoplasty – which involves operating through the nostrils. Open rhinoplasty – which involves making a small incision underneath the tip of the nose. Rhinoplasty surgery usually takes around 2 to 4 fours to complete depending on the extent of work needed. Primary rhinoplasty – refers to first-time nasal surgery, whether for cosmetic or functional purposes. Primary rhinoplasty is performed by removing excess bone and cartilage from beneath the skin covering the nose. In some cases, cartilage grafts are added to help reshape the nasal framework. After alteration of the supporting structures, the skin is repositioned over the newly shaped framework to give the nose its new appearance. The changes may be subtle or dramatic, depending on the needs of the patient. Revision rhinoplasty – Patients who have had rhinoplasty surgery before and want it corrected to look better. Secondary (revision) rhinoplasty indicates the patient has had one or more previous rhinoplasties. Often patients who are seeking secondary/revision rhinoplasty have a nose that looks unnatural or remains blocked. The surgical goal is always to produce a nose that looks natural, functions properly, and in harmony with the patient’s other facial features. To accomplish this, it is often necessary to reconstruct and reshape the underlying framework of cartilage and bone using cartilage grafts obtained from either the ear or the rib. As with any surgery, there are certain limits to what can be achieved. If the surgeon feels that the patient’s goals are not realistic, he will address this during the consultation. Also, patients cannot be assessed for secondary rhinoplasty until at least one full year has passed since their last nasal surgery, as subtle changes may still be taking place. Ethnic rhinoplasty – Because people of different backgrounds often have noses with distinct characteristics, Ethnic Rhinoplasty requires a highly individualized approach. 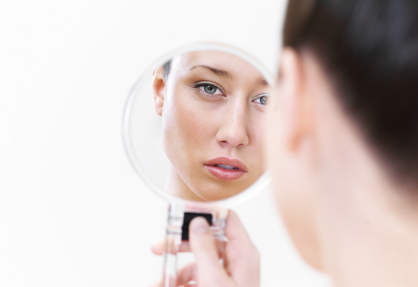 Our rhinoplasty surgeons have extensive experience working with a diverse range of patients. Their special sensitivity to the various aesthetic needs and preferences of Asian-Australians, Middle Eastern-Australians, and people of non-Caucasian backgrounds allows them to achieve results that harmonize beautifully with the facial features of virtually any patient. Common techniques used in Ethnic Rhinoplasty include augmentation (building up) of the nasal bridge, lengthening and refining the tip of the nose, and narrowing the base of the nostrils. These techniques can be used to improve the appearance of Middle Eastern and Asian noses, while respecting and maintaining the patient’s ethnic heritage. Cleft lip rhinoplasty – patients who are born with a cleft deformity may have severe nasal deformity which requires definitive rhinoplasty and nasal reconstruction in the teenage years. Cleft lip rhinoplasty focuses on improving the breathing passages together with the overall look of the nose and face. Ageing rhinoplasty – The nose will age along with the face and tends to grow in size and elongate. Many individuals look younger by just improving the appearance of the nose. Like the ears, the nose becomes thicker, wider and longer as we get older. With rhinoplasty or nasal plastic surgery the nose becomes more youthful looking and this may be all that is needed to create a younger looking face. Chin Augmentation – Whilst not a rhinoplasty procedure, the nose and chin are inseparable when looking at one’s profile. Chin augmentation is a common procedure performed in combination with rhinoplasty to improve the balance of the facial profile and correct a receding chin due to congenital deficiency, age-related bone resorption or facial trauma. A receding chin can make the nose seem larger or make the neck appear fatty and undefined. A chin implant gives more projection of the chin and a better shape. This surgery is performed through the inside of the mouth with no external scar. Non surgical rhinoplasty involves use of injectable dermal fillers to reshape the nose. This is an alternative to surgical rhinoplasty. However, whilst useful for touch-ups, non surgical rhinoplasty will not address all nasal deformities. Dermal fillers can be used to correct minor problems. The majority of Fillers last up to 12 months but there are fillers that last longer. Dermal fillers can be used to fix a flat nose that needs height – typically seen in people of asian ancestry. Strategic placement of Dermal Filler can help to build nasal height. A crooked nose – results in the loss of the dorsal aesthetic lines that can be recreated by the careful use of dermal fillers. A bump on the nose can be camouflaged by careful placement of dermal fillers. Dermal fillers can be used for touch-ups after nose surgery – minor irregularities can be felt following a surgical rhinoplasty can be smoothened out by using dermal fillers.